Orians shagadelic collection is pure fun. Contemporary styling and 12 colours make this incredible collection perfect for bringing life to any living room floor. Made from 100% heat set yarn, shagadelic is high in pile and high in texture. With a 35 mm pile height, shagadelic is as durable as it is beautiful, creating the perfect setting for a casual lifestyle. Created for the minimalist with an eye for good taste and knack for spotting high quality design arrives the Chatham, a fresh debut from our Berkshire Collection. Etched geometric lines and smart colour choices lend a modern vibe, while the plush touch of our premium shag softens any harshness. Consciously constructed with our Everstand fibre, created from up to 100% post-consumer content from plastic bottles, the Chatham offers superior stain resistance and comfort. Available in two colourations, coral and grey. 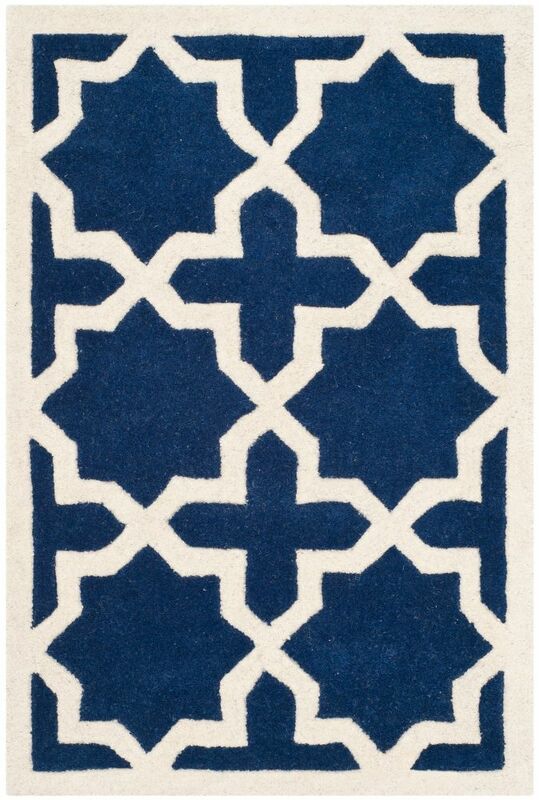 Chatham Carlton Dark Blue / Ivory 2 ft. x 3 ft. Indoor Area Rug The Chatham collection by Safavieh contrasts ancient Moroccan motifs with a fashion-forward palette of bright and pastel colours. This transitional and contemporary rug offers a thick wool pile in modern designs to complement any home decor. These stunning hand-tufted wool rugs are crafted in India to recreate the elegant look of hand-knotted carpets for today's lifestyle interiors. This is a great addition to your home whether in the country side or busy city.